What does “passion” mean to you? John J. Murphy calls passion “the fire within.” Good leaders will have that fire. We will be able to see that fire in the way they work and play in the Grange. Their fires are fed by positive energy created by success, and that success is a product of their passion, sparking fires in others. To lead with passion, a good leader must be able to courageously cast off fear, doubt, and limiting beliefs. This will allow the leader to give people a sense of hope, optimism, and accomplishment. Think about the great leaders you know or have read about. It’s true; they have given people hope for the future, inspired optimism, and showed measureable accomplishments. So, as the leaders of the Grange, how are we to lead with passion? First, we must believe in the Grange and that others can benefit from the Grange. Second, we must have the desire to work with others and want them to see how great the Grange can be. Last, we must want them to see us as a good example. Leading with Passion is like bringing light in a world of uncertainty and inspiring others to do the same. 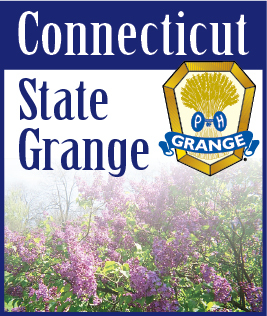 I see many Grangers out there that love the Grange and spend countless hours working for the Grange. They never miss a meeting and are first to sign up to help with the next program or project. But they never share that feeling of satisfaction they get with others. They seem to keep the feeling all to themselves. We need to share the feelings we have for the Grange with others and invite them to experience those feelings too. We need to let others see and hear the fire that burns within us so that it might initiate a spark of passion within them!